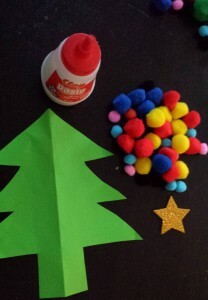 Another simple but fun toddler Christmas craft. 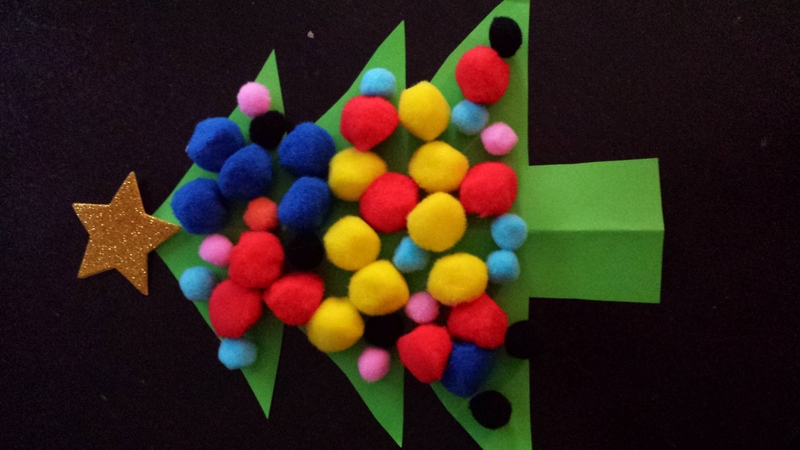 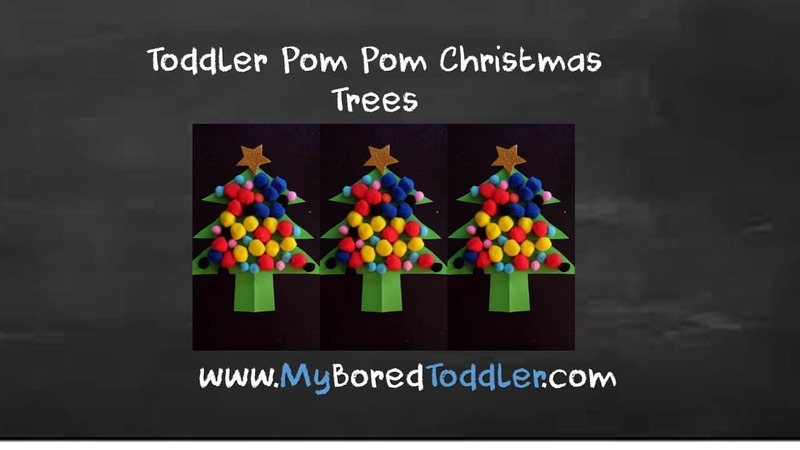 Pom Pom Christmas trees are really easy for even the youngest toddler to make. 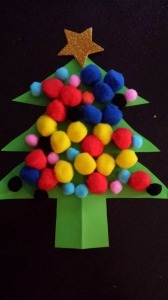 You can hang them up, or glue them onto cardboard for a great homemade Christmas card. 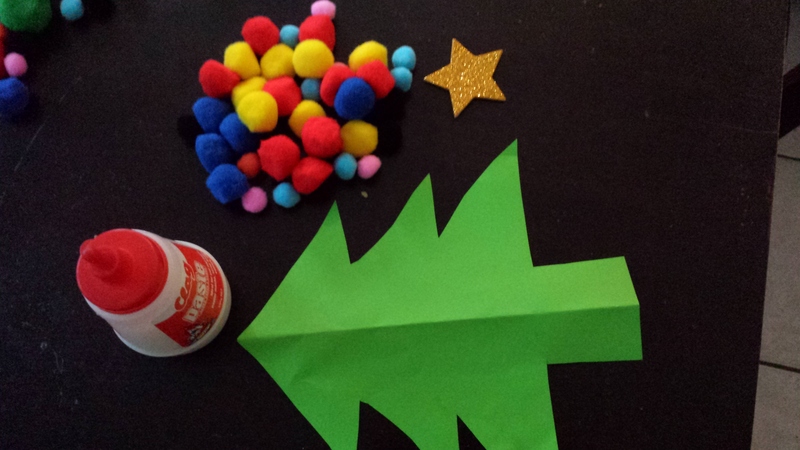 Star (I bought a packet of stick on stars, but you can easily cut a star out of some yellow or gold paper if you prefer).